Businesses rely heavily on proper planning and time management. Time management can improve the efficiency, quality, and expediting of projects and deadlines that need to be completed. 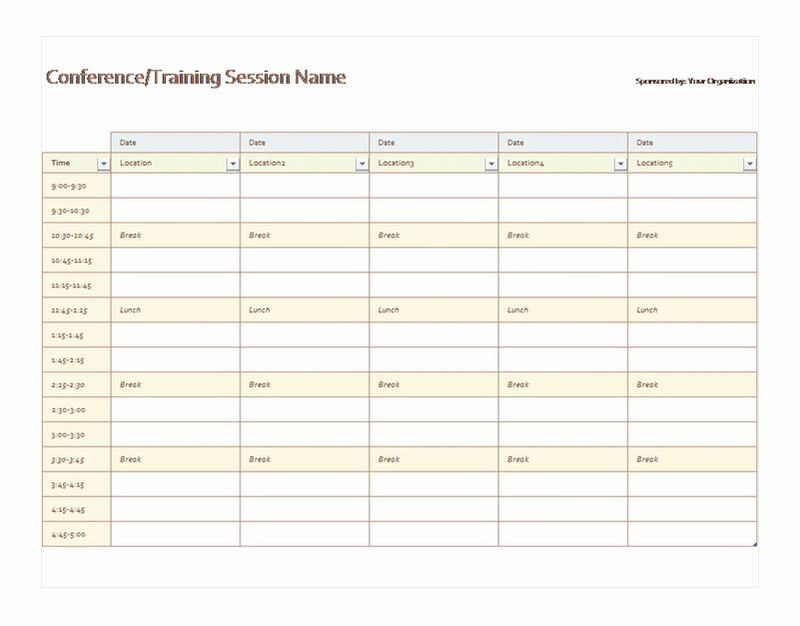 The Five Day Schedule allows you to coordinate training, conferences, meetings, and any other events that you. The scheduling is set with an Excel spreadsheet. The chart has comes with many advantages for schedule planning. There are may reasons that your business can profit from the scheduler. Listed below are reasons why the Five Day Schedule can benefit you and your business. How would you like to keep track of your weekly schedule in one convenient location? Would you like to be able to track dates when planning an event? How about if you could add locations of events that your are planning? If so, then you and your business will enjoy the benefits of the Five Day Schedule. A few reasons that your businesses can benefit from downloading the chart are listed below. Customize your company data by including the company name, logo, or any other company information you want listed on the schedule. Remember, most fields are going to be customizable, ensuring you can make the 5 Day Schedule your own. No matter what your concerns are with scheduling on your calendar the 5 Day Schedule can aid you and your business. Using the 5 Day Schedule can aid your business in improving time management, tracking dates and times for event planning. The chart is fast, easy to use, and completely free. The Five Day Schedule allows you to customize details of how you plan to use the chart. Times, dates, and locations can be customized so improve. Download your customizable copy here today!